The Science and Technology Facilities Council have identified LGFC as the flagship location to launch a new outreach educational venture for the North West of England. Under their proposal the Centre will become an STFC Educational Hub with substantial benefits to LGFC and a high profile assured by the feature of both organisations on the respective websites and other media. This is an ideal opportunity for the association to develop its core values with the extra benefit of background support from a major, respected organisation. Following an exploratory meeting at the STFC Laboratory in Daresbury in July 2014, the STFC Education Hub at Low Gillerthwaite was approved by the LGFC committee at its meeting in August that year. The aim of the STFC Educational Hub at LGFC is to further the public engagement and outreach activities of the STFC, particularly among North West communities which gives an important local dimension to the task. Above all, the aim is to enthuse and inspire school children in the STEM subjects (Science, Technology, Engineering, Maths) with an emphasis on hands-on use of equipment wherever possible. The delivery concept is that LGFC will coordinate a team of volunteers from its membership, and from the local community, who will be trained by the STFC Public Engagement team to present STFC sciences via workshops held at LGFC throughout the year. The initiative forms part of the STFC Public Engagement Programme and builds on the designation of LGFC as a Dark Skies Discovery Site in 2011 and the links established with STFC as a consequence. Alan Brown, Senior Public Engagement Officer at the STFC Daresbury Laboratory and his colleagues have delighted us on Dark Sky weekend events over the last four winters with presentations in the Star Lab, their mobile planetarium. The new STFC Educational Hub builds on our experience from the Dark Sky events in terms of delivery but the focus will be on workshops for school and youth groups staying at the Centre. In the first year of activity (2014-15) the aim has been to increase the range of subject elements from our core in Astronomy to include Sustainability and Geological Science. The first school visit took place on 24th-25th October 2014 and the Education Hub has been active since then. We anticipate that the subject areas and the number of school parties visiting will increase in the years to come. To do all this we have built up a pool of volunteers drawn from LGFC membership and from the local community. Astronomy, Sustainable Energy and Geological Science are the highlighted subject areas that the STFC Educational Hub has offered to schools and youth groups from the outset. Other subject areas come readily to mind - chemistry and biological sciences for example in relation to the changes in the valley brought about by forestation and deforestation and then there is the history and artefacts of human occupation of the valley. Accordingly, we are currently developing themes on the biology and ecology of Ennerdale and the Archaeology of the valley. If you have ideas or expertise on these or other subject areas within the scope of the scheme, please don't hesitate to come forward with your thoughts and ideas. We would like to hear from everyone who would like to work with us to develop the Education Hub. Normally LGFC organises a "Volunteer Day" towards the end of the summer months for the existing volunteer group and to encourage anyone interested in volunteering to visit Low Gillerthwaite at that time and meet our team. To find out more, all you have to do is contact us via the EducationHubCoordinator. It's worth mentioning also that many of the world's greatest scientists going back to the ancient Egyptians got their inspiration by gazing at the stars. Finding out about the natural world in a beautiful Lake District valley is a wonderful experience for children and adults alike - let's see if we can inspire the next Einstein right here in the North West of England! 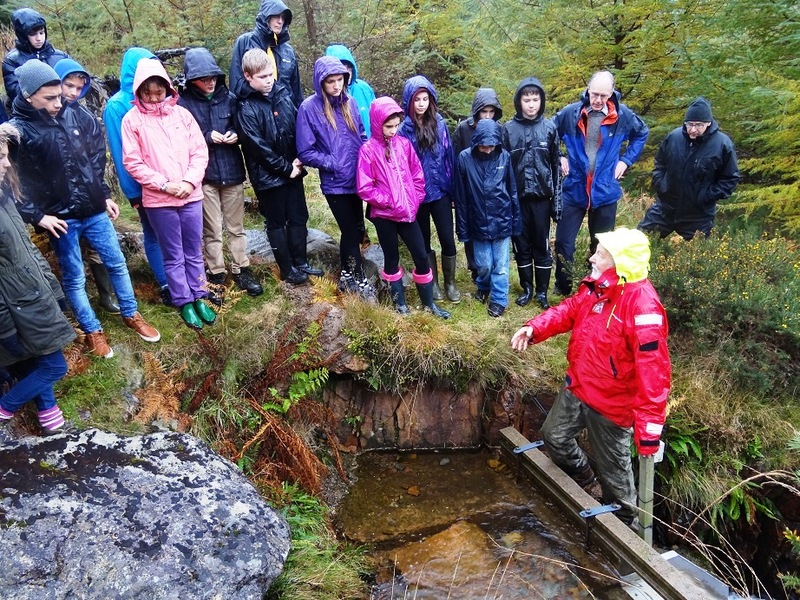 For teachers and youth group leaders who wish to find out more about arranging Education Hub activities during their visit to Low Gillerthwaite, please follow this link Low Gillerthwaite STFC Education Hub.